A $12 million settlement, involving a South Florida Hospital, was announced by US Department of Justice last month. The hospital was alleged to have carried out unnecessary studies and procedures, and then billed government health care programs. The whistleblower suit was brought by two physicians, who will share in the proceeds from the settlement. The qui tam provision of the False Claims Act allows whistleblowers, also referred to as Relators, to bring suit against those accused of defrauding the government, and then share in any settlement won by the government as a result. In a recent case, which was settled last month, a South Florida hospital agreed to a $12 million settlement after it was subject to a whistleblower lawsuit. 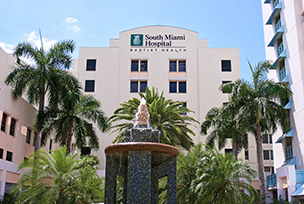 South Miami Hospital agreed to the settlement after it was sued for violations of the False Claims Act. Specifically, the suit alleged that the hospital carried out medically unnecessary studies and procedures, and then billed US government federal health care programs for compensation. John R. Dylewski, M.D. was named as the doctor who had performed the unnecessary studies and procedures. According to the US Department of Justice, two doctors brought suit against the hospital on behalf of the government – under the qui tam provisions of the False Claims Act. The Relators, James A. Burks, M.D., and James D. Davenport, M.D., will reportedly share $ 2,748,500 for their part in exposing this scheme and helping the government to bring it to an end and recover damages.